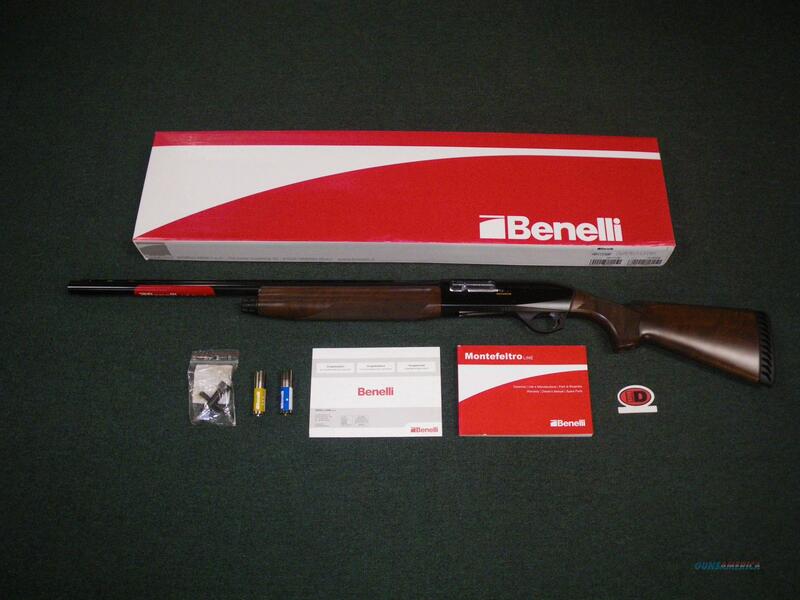 Description: You are bidding on a new left hand Benelli Montefeltro in 12ga with a 26" barrel and 3" chamber. Benelli’s Montefeltro shotgun features a slim, graceful forend, which, combined with an anodized, lightweight receiver, keeps the weight minimal and the swing quick. This shotgun comes with three choke tubes (IC,M,F). Displayed images are stock photos. Any questions please feel free to ask (our phone number is in the additional information tab above).